The ancient parish comprised the townships of Trerhos, Treglas, Trehendre'rwydd, and Trenantynef. 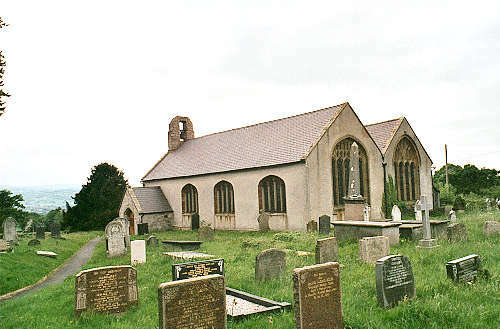 The church was founded in the seventh century by St. Cynhafal. The present building was extensively repaired and restored in 1869/1870 and 1884. For family history information about the church and parish, visit the GENUKI Llangynhafal page.